In the heart of Ortigia (historic centre of Siracusa) is this charming apartment, a stylish restored one bedroom flat in a beautiful area just in front to the baroque cathedral in piazza Duomo. 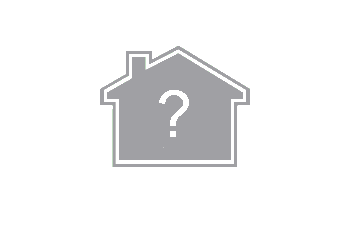 Whether for a short stay, or a longer rental our holiday flat is fully furnished and peaceful located. 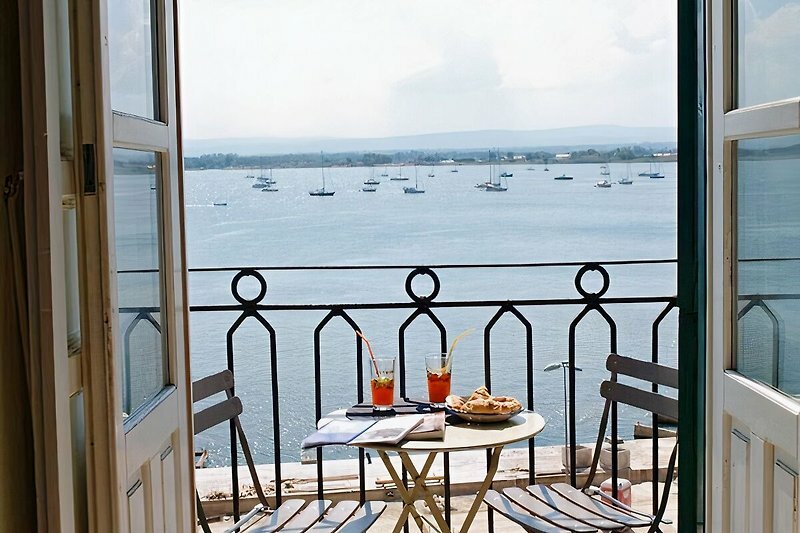 You can enjoy a great view of the big harbour of Ortigia from the balcony of the apartment Duomo. Families, business travellers and vacationers will all find themselves equally at home in this apartment. Reach the cathedral in Duomo square and you'll see in front of you on your left an iron gate. Inside a charming courtyard will enchant you. Cross the courtyard and enter in the apartment. 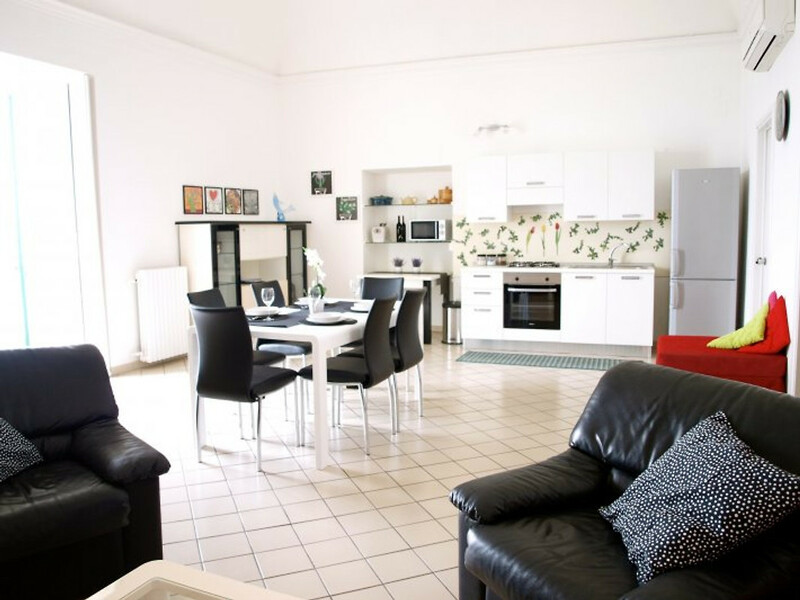 You are greeted by a large living space (about 35 m²) with a fully equipped cooking and dining area, and a sitting area with sofas, TV and hifi. 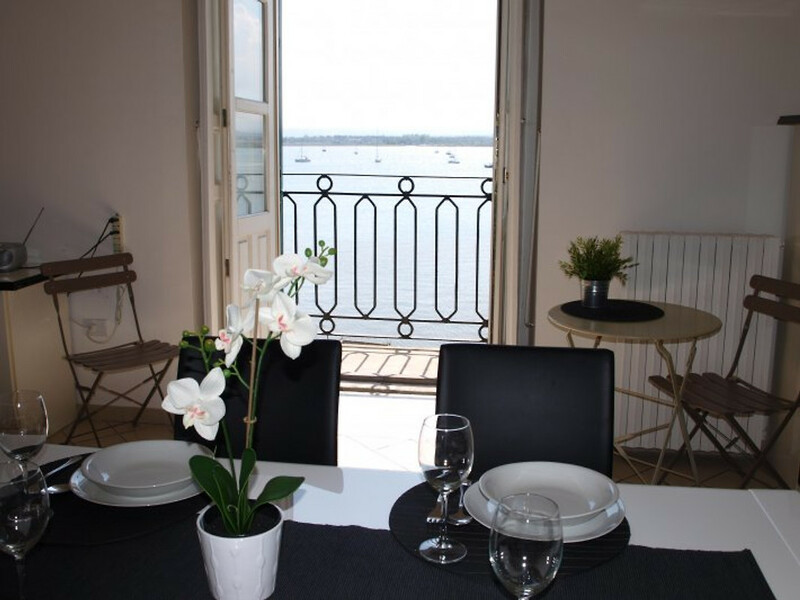 A large window leads out onto a balcony overlooking the harbour. 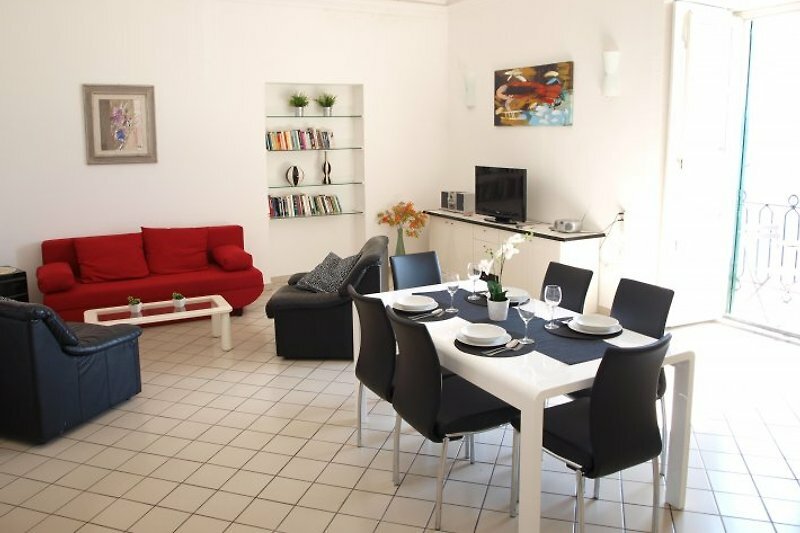 This holiday apartment is approximately 50/60 m². No stairs as ground floor entry from piazza Duomo (one of the more charming piazza in Sicily!). Then you discover the view at the balcony side is second floor over glorious sea scape! Please note this apartment haven't any steps outside and inside, so it is very suggested for people with mobility problems. It is good equipped and it is composed of one bedroom with a double bed, one bathroom with shower and toilets, a large living room with bed sofa and folding bed and a full kitchenette (fridge, freezer, stove, microwave, oven, kettle, toaster, etc…). 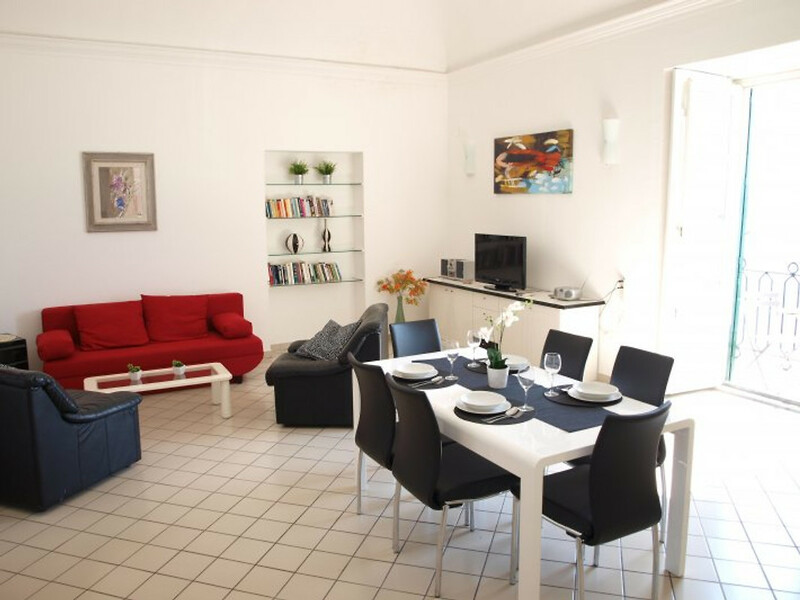 Ideal for 2 persons, this holiday apartment in Siracusa can easily sleep 4. Unfortunately this site has a limit in the number of pictures to publish, so we weren't able to put here all the wonderful pictures of these apartments. 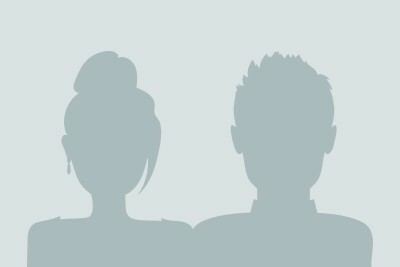 Please feel free to ask us to show other pictures. 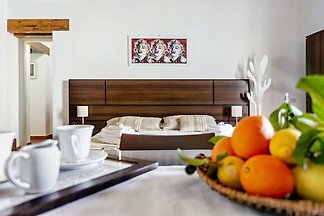 We will be very happy to show you other views of the apartments, especially the several images relative to their wonderful view on the harbor. They worth a look!